I think I said that 2015 had to be a better year than the last one. Not true. 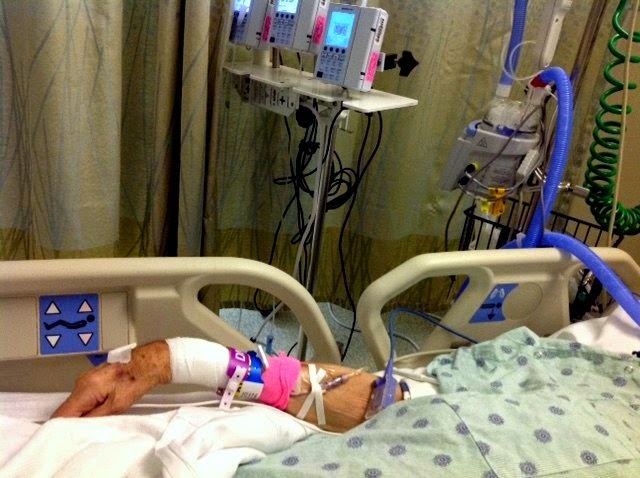 My husband was hospitalized at the end of January--most of his stay was in the ICU--so many tubes and IVs and blood tests.. He was transferred to a skilled nursing facility Wednesday, the 11th. With physical and occupational therapy, we hope he'll gain strength and come home soon. He has improved and is eating a bit (southern food is not his favorite). Our children were with us--daughter returned to snowy Boston Wednesday, but our son is staying for a while. They were such a tremendous help at the hospital; one of us was there around-the-clock (and we even had a few laughs). Blog friends, I have been following your posts--but have had little time to make comments. I'm waiting for normal to return.